sx64-unpatched - SX-64 Retro Gaming und Vintage Computing - Spielkonsolen und Computer aus der guten alten Zeit. Commodore Diag 586220++ SX-64 fixed / Check64. I have downloaded „Diagnostic 586220plus v0.5 (SX-64 fixed)“ fom Jani’s sit to test my SX-64 and it does not pass the user, serial and control port tests. If I unplug the serial dongle and leave the user port attached it will pass the user port. I know the serial port is good, because I can access an external floppy disk. I can also use joysticks so the control ports work. Is there still some bugs in the code or is there a different dongle? This version works great on my C64 with no errors. 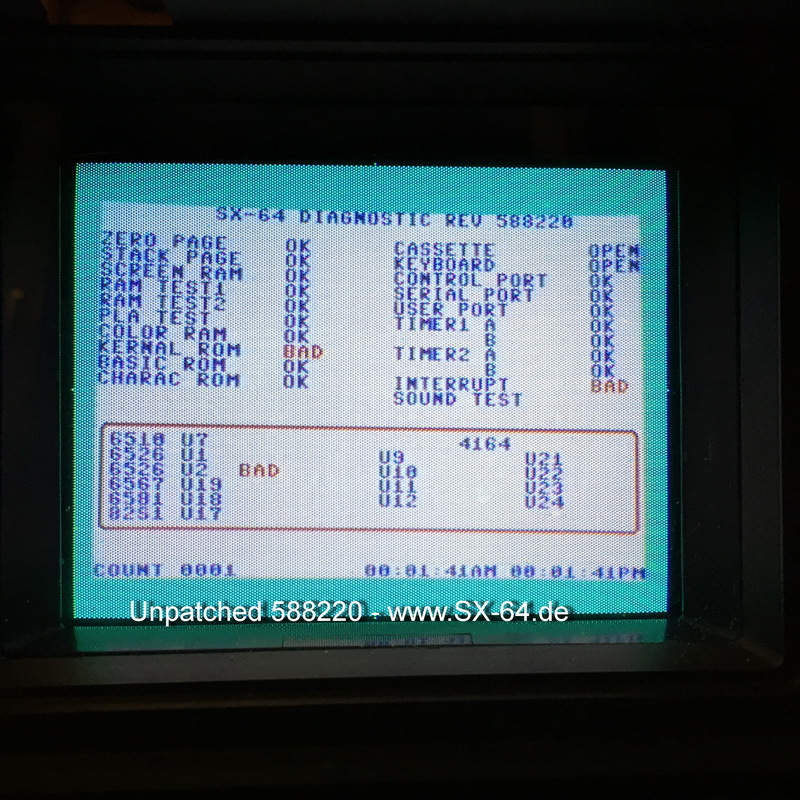 A friend has also tested it on several SX-64s and found a mix of errors. I tried to send an email to Jani, but it can’t be delivered.